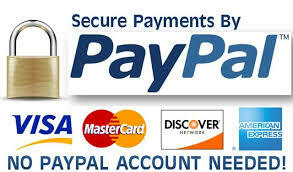 For your convenience MAC Taxis now accept payments online via our secure payment provider PayPal. You can now pay for your taxi reservation online in advance. Don’t worry if you haven’t got a PayPal account as you can still make a payment using your credit or debit card. Please enter your details below and then press the ‘Pay Now’ button when you will be directed to the PayPal site to complete your transaction. If you have any problems submitting your payment then please call us on 01509 434369. Also please ensure that you fill in all of your details so that we can identify your payment. If you have any problems or concerns please call us on the above number. For your peace of mind please be assured that online payments are now one of the safest methods available.